This workout was one of Micheal’s favorites and he’d named it “Body Armor”. 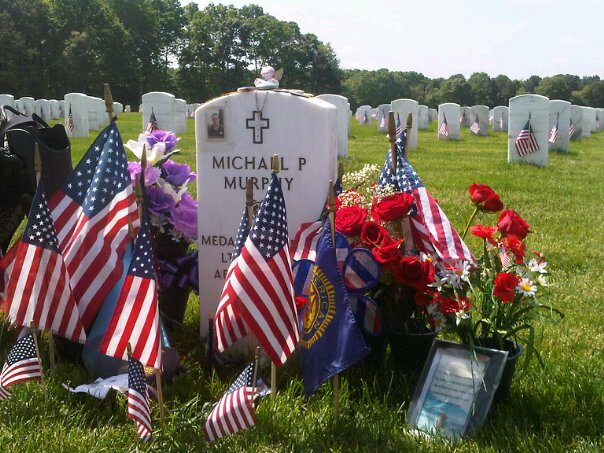 Now it is referred to as “Murph” in honor of the focused warrior and great American who wanted nothing more in life than to serve this great country and the beautiful people who make it what it is. A warship bearing the name of the Medal of Honor recipient was christened Saturday May 7th, 2011 — on what would have been Murphy’s 35th birthday — at Bath Iron Works, where the destroyer is being built. I told him that he should wait til later to post the WOD and then he would have more people show . . .
You did all 100 pull ups unassisted? That is excellent! !